Johann Sebastian Bach’s Six Suites for Unaccompanied Cello are among the most beautiful pieces ever composed for the instrument. The arpeggiated chords in the opening bars of the first suite are the best-known measures of all the suites, and are, along with the similarly beautifully-cascading melodies of Bach’s Partita for Solo Violin nr. 3, Vivaldi’s Four Seasons, Tchaikovsky’s 1812 Overture and Beethoven’s Ninth Symphony, some of the most instantly-recognised classical pieces in the world. But they had a strange life en route to the concert hall: for many years they were considered to be nothing more than perfunctory, technical exercises written for an instrument that was then seen as inferior—and at one point, they were almost lost to history forever: Bach’s original manuscript vanished, and the suites survive only through a copy written out by his second wife, Anna Magdalena Bach. Thus it is impossible to know whether the suites as they now exist are a reliable duplication of Bach’s music as it was written—or, interestingly, even for what instrument the suites were intended. 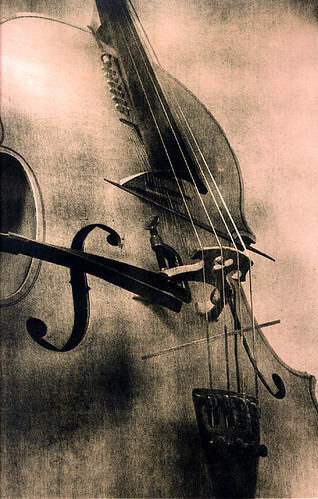 It took Catalan cellist Pablo Casals to popularise them, and it was almost by accident that he discovered a manuscript as a young man in a second-hand store in Barcelona, its “tobacco-coloured cover page inscribed with fanciful black lettering: Six Sonatas or Suites for Solo Violoncello by Johann Sebastian Bach,” as Eric Siblin, a former pop music critic for the Montréal Gazette, describes in his wonderfully-written new book The Cello Suites: J.S. Bach, Pablo Casals and the Search for a Baroque Masterpiece. 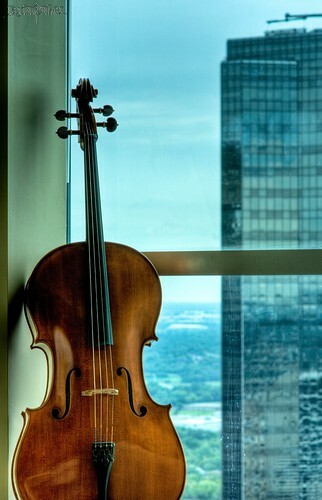 Casals would practice the suites every day for twelve years before playing them in public for the first time. Cellists like Mstlislav Rostropovich, János Starker, and, more recently, Yo-Yo Ma have recorded them, each adding their own touches along the way. (Jacqueline du Pré recorded only the first and second suites before her tragic death, at 28, of multiple sclerosis.) It was Casals, however, who propelled the suites to the position they enjoy today. Each of the suites contains six movements, opening with a prélude and concluding with a gigue, a mid-17th century dance. In between are other dances: an allemande, a courante, a sarabande, and then either a minuet, a bourrée, or a gavotte. It is along these lines that Siblin divides his book into sections that examine the nuances of each movement while at the same time recounting three stories. The first two or three movements of each suite are accompanied by a condensed life of Bach and the story of the suites’ composition. The next few movements are allocated a biography of Casals, his discovery of the suites, and his hand in popularising them for a general audience. A discussion of the last movements of each suite is complemented by an account of Siblin’s own discovery of the suites, the composer and the cellists who made the music famous. The Cello Suites is both lively and accessible, and although Siblin’s wild enthusiasm for the suites—caused by his decision to leave behind the Top 40 and plunge headlong into baroque territory—can at times be overpowering, it is more often delightfully infectious. from which I first learned of the book.